Let’s talk about STRIPES! Stripes are quite versatile, especially when paired with the right accessories. And you don’t have to be limited to vertical stripes, either. 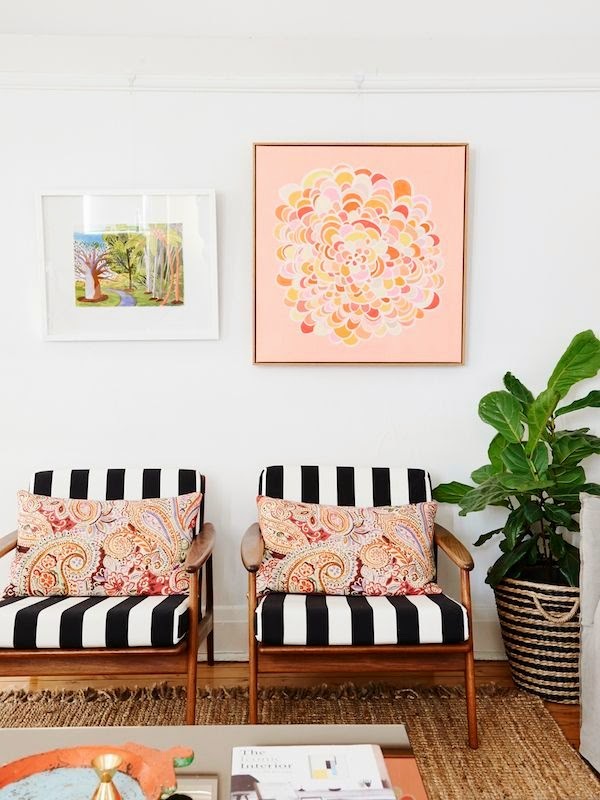 Stripes can read contemporary like in the Australian designer Greg Natale’s room below, or look traditional and even nautical. Let’s explore! I really enjoy the Bohemian look created with striped upholstery here along side these paisley patterned throw pillows (see below). So eclectic! Mixing patterns can be an adventurous undertaking, but most often worth the risk. Above we see an example of how stripes can create a more traditional feel in space. 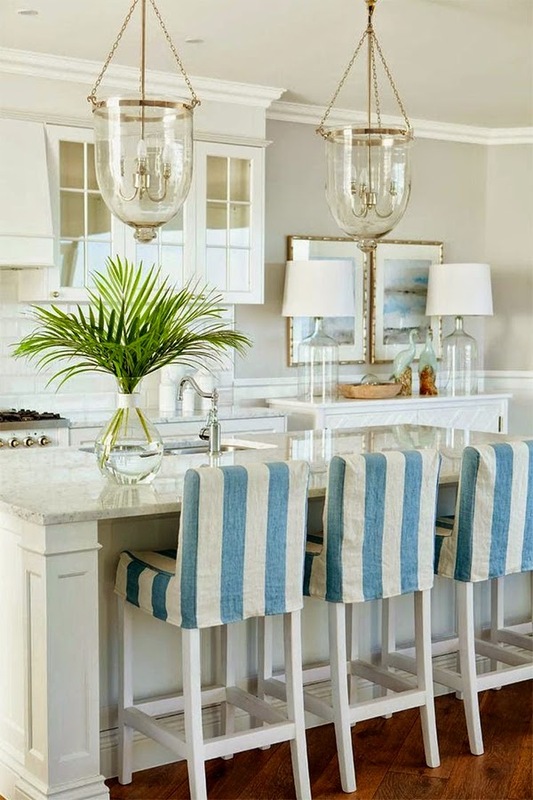 These striped, slipcovered bar seats are the highlight of this room! Definitely a great reminder not to forget about slipcovered seats as an option for your kitchen. It allows you the ease of being able to toss them in the washer and dryer if any spills occur (or professional cleaning depending on your fabric). I suggest having a second set of covers for while they are being washed, as well. This kitchen has a fresh coastal feel that is just so welcoming! Thinking about horizontal stripes instead of vertical? Here’s some great inspiration for you, both executed completely differently. 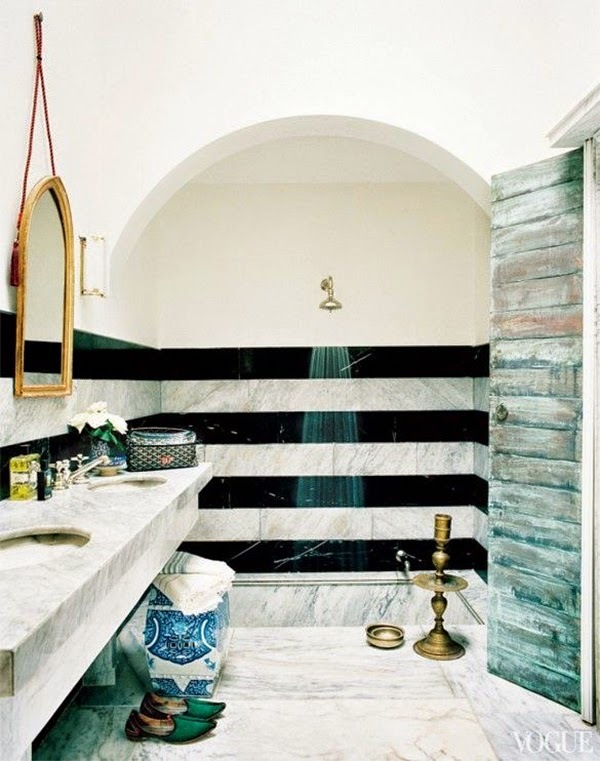 And don’t miss that luxurious, sunken plunge-pool bath in the home of designer Bruno Frisoni. See above and below. 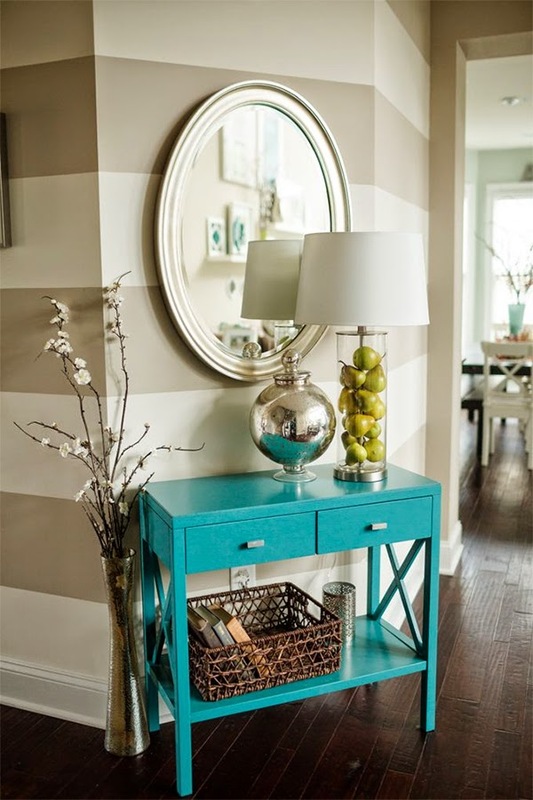 There are many ways you can add stripes to your space. Wall art is always a great idea, as it doesn’t require any paint or DIY skills. 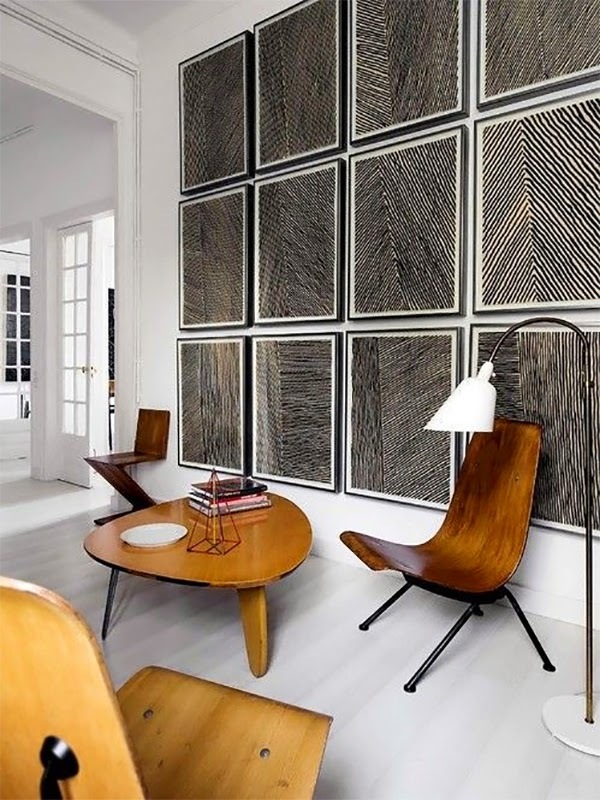 The room above features a gallery wall filled with striped wall art. It’s a more subtle approach to stripes, while still being impactful. I must admit, I often go for the bolder statement when it comes to interior design. 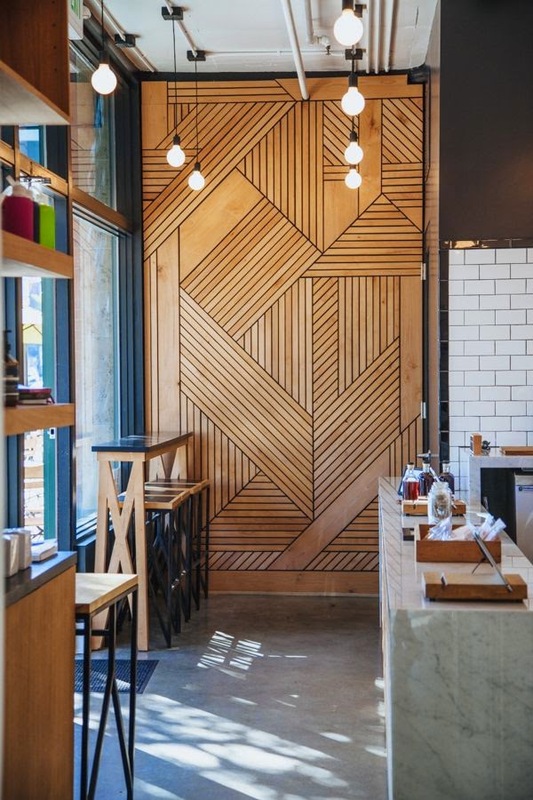 So I’m a huge fan of this wood-paneled accent wall (below) featuring an amazing, striped graphic geometric design. Love it! 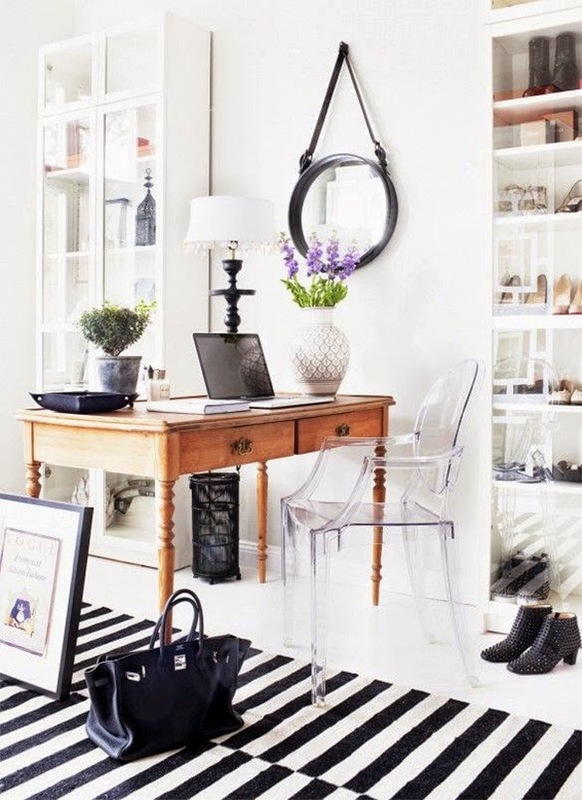 Now that you’ve seen how stripes are inspiring me, show us how stripes have inspired you! 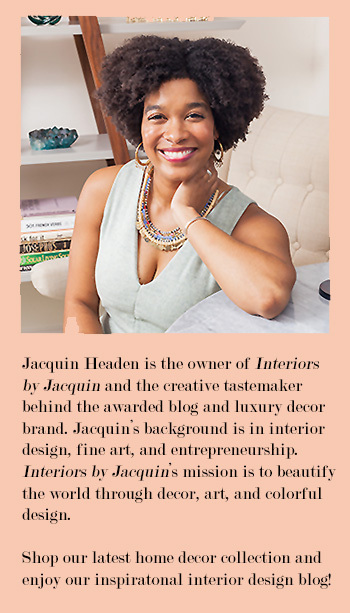 Share a photo of your striped accent wall or decor on Twitter and tag @JacquinMH. I love seeing how you decorate! And if you’re looking to add stripes to you home currently, you’ll definitely want to check out these two great Home Depot tutorials on how to do-it-yourself.